The budget supermarket chain recently pledged to go plastic-free on its own label products by the end of 2023 – and as part of this mission has started selling plastic-free chewing gum. 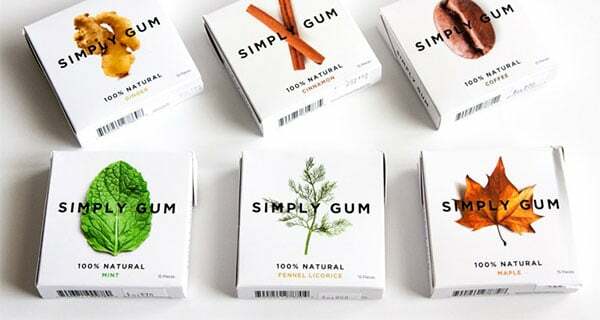 It is said to be the first supermarket in the UK offering eco-friendly gum. Chewing gum can be a nightmare after it’s discarded as it plagues streets, public spaces, and schools, costing local councils £60-million a year in cleaning up. The US brand, Simply Gum, should help tackle the waste left on 95% of Britain’s streets as a result of the 100,000 tons of chewing gum consumed every year. It is completely biodegradable, made with chicle which is extracted from the sap of the sapodilla tree. Iceland also conducted research into people’s attitudes to plastic, finding that of the 2,000 interviewed, 85% were unaware gum contained plastic. “I absolutely detest the mess that discarded plastic chewing gum creates on our streets, and the fortune that is wasted by councils trying to clear it up,” said Malcolm Walker, Iceland founder and executive chairman. 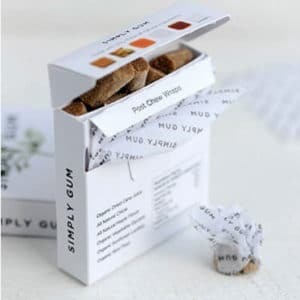 Simply Gum creator, Caron Proschan, added: “I created it because I recognised a need for a natural gum that was made with high quality, sustainable ingredients. Iceland’s research showed that three-quarters of gum buyers said they will think twice about buying regular chewing gum again in the future. They also found nine in 10 are worried about the damage being done to the environment by plastic. Simply Gum is available in Iceland stores across the country and online – it costs £2 for a pack of 15 and comes in mint, maple and ginger flavours. Manufacturers don’t have to disclose which of the plastics, rubbers, and waxes they use and in which quantities (usually just listed as gum base). Meanwhile, gum maker, Wrigley UK, is facing new pressure as the drop in consumption of regular, non-biodegradable gum continues, reports ConfectioneryNews.com. Pre-tax profits at Wrigley UK fell by a third last year to £34.4m in the 52 weeks to December 30 2017, with sales at the confectionery and gum company falling by 2.7% to £249m for the year, according to The Grocer​. The UK’s food and drink bible reported that the chewing gum category as a whole lost 3.8% of its value sales, falling to £261m last year. Mars Wrigley Confectionery took full control of the The Wrigley Company in February 2018, after announcing plans in 2016 to merge the two companies​.